Catherine Boyd Violin Studio is currently accepting new students. 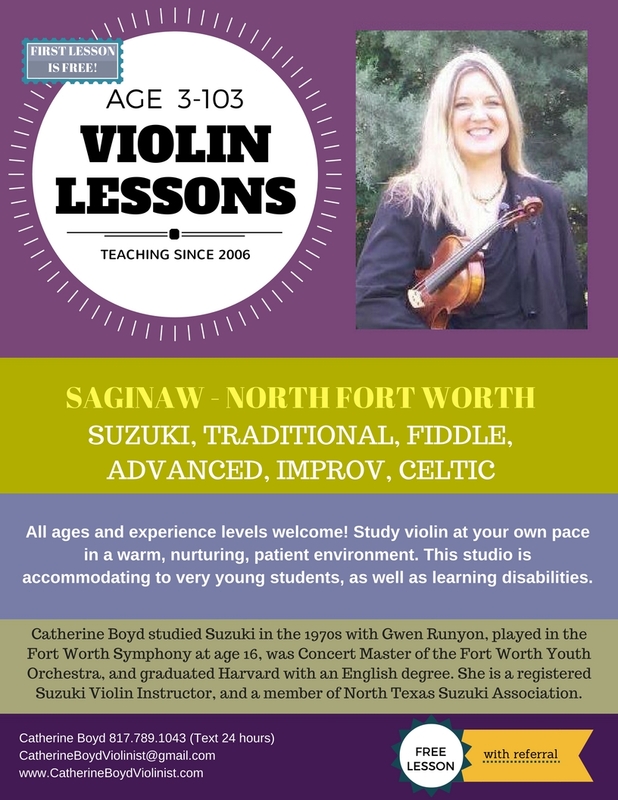 Please call (817.789.1043) or email me (CatherineBoydViolinist@gmail.com) anytime to schedule a free lesson. If you are far away, Skype lessons are also available. My rate is $30/half hour, paid monthly. The first lesson is free. Additional free lessons are available with referrals.